3º Medio: PAPER "Mr. Holland's Opus"
1. According to you, give a reason that supports the artistic and musical education at school nowadays. 2. 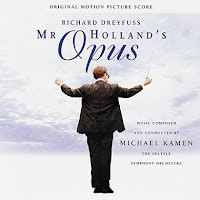 According to a former student (at the end of the movie), what is the real Mr Holland's OPUS? Why the word "opus" is used in the title of the movie? 3. What does the school principal -Mrs Jacobs- mean when she tells Mr Holland that a good teacher not only must teach knlowledge to the students, but also give them a compass? 4. Do you think that Mr Holand was a good father during the movie? 5. How does Cole's deafness interfere in his parents' marriage? ¿How did Mr Holland and his wife react to the stress? 6. According to you, what did it show the incident between Mr Holland and Rowena? 7. Did Mr Holland act properly saying Rowena that she had an outgoing talent and she had to go to New York and follow her dreams? 8. 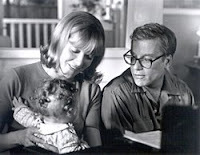 According to you, name the 5 most relevant moments of the film.Recomendation...Try not to write at the same time you are reading. I'd prefer you print or write the questions, answer them on a paper and then write them in the blog and upload them.